- Add a folder, a collection of photos to the scanning list. You can also drag and drop the files to the scanning list to search for duplicate or similar looking photos. - Easily search for exact & similar images in a click. You can set the matching level for desired results. Get help in eliminating duplicates from external storage devices as well. This saves chunks of disk space. 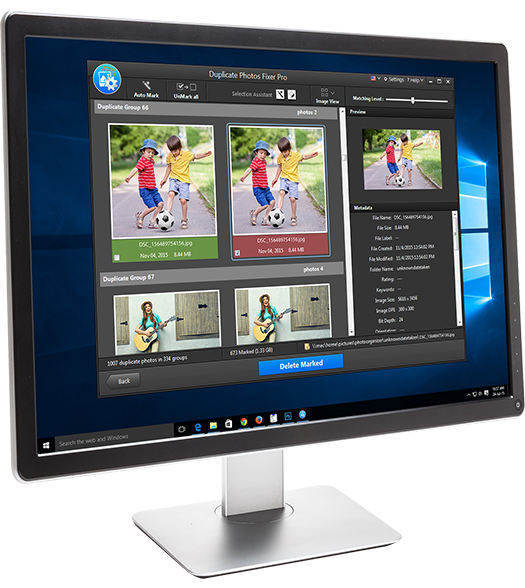 The easiest, quickest & safest way to get rid of duplicate photos!